Bandelier formed in the summer of 2010 in Tulsa, Oklahoma. Hailing from North Texas, Ryan Allen originally studied piano and eventually fell under the spell of The Smithsonian Folkways as well as Woody Guthrie which drew him to the guitar and shaped him into a songwriter. Years later, in an effort to feed his creativity, Ryan pulled together his most talented friends. 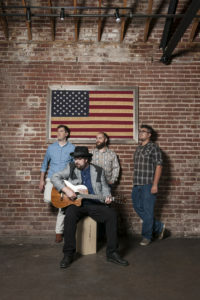 The band started to practice in an old warehouse in Downtown Tulsa where their sound and voice was strengthened and finally formed.